Western Whiskey Gazette (WWG): Justin Liquor Co. - Bad Whiskey or Bad Timing? 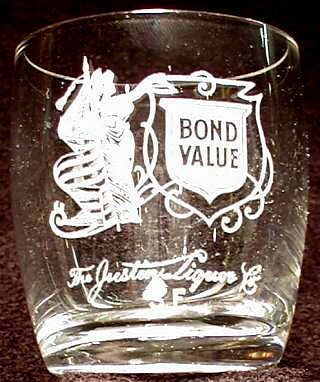 The Justin Liquor Company also had an amber dandy flask made, and again it is not a pretty bottle with a rather small slugplate for its size. 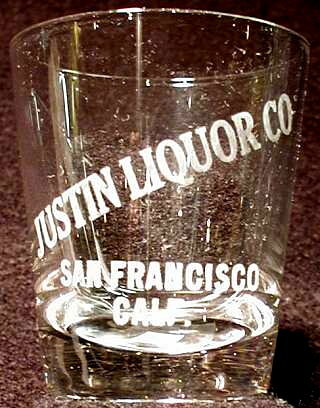 There are few other known objects left be Justin Liquor Co. Including a tip tray, trade tokens and a 1906 leather bound pocket calendar. I just completed a renovation at my 1912 Victorian 2-unit building in Cole Valley in SF. When we opened up the walls we found a "Justin Liquor Co." whiskey bottle. It was empty but had some cool detail on the bottle, including the address, which is 2786 mission, not 2768.